We strive to provide the best care for your loved one. Complete Nursing Service is available to help you have more time to enjoy your life and loved ones. 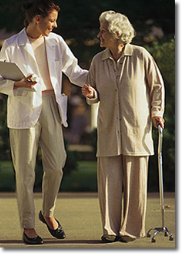 We offer individualized care for clients in the home, nursing home or retirement center. Copyright © 2007 Complete Nursing Service, Inc.